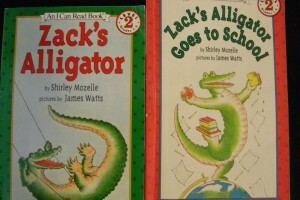 What in the world do The Wonder Twins, Cowboys and Alligators have in Common? They all sent us mail this week. 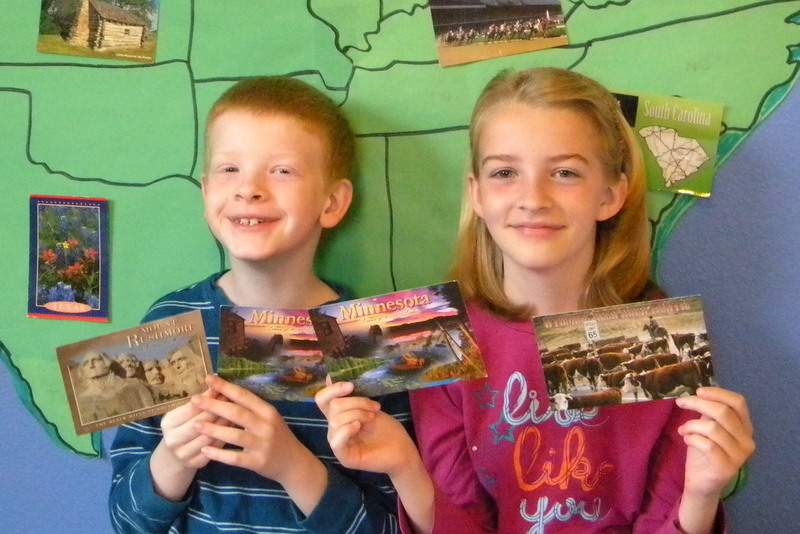 We had a few giggles with the post cards that arrived this week. 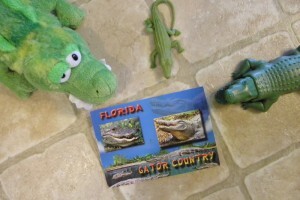 We received surprise post cards in the mail from Uncle Brett! Thank you Uncle Brett!! The kids LOVED the surprise postcards!! The kids think you went there just for them! ha ha! Do you all know this story?? and Then have your funny husband read it with all his funny voices…. 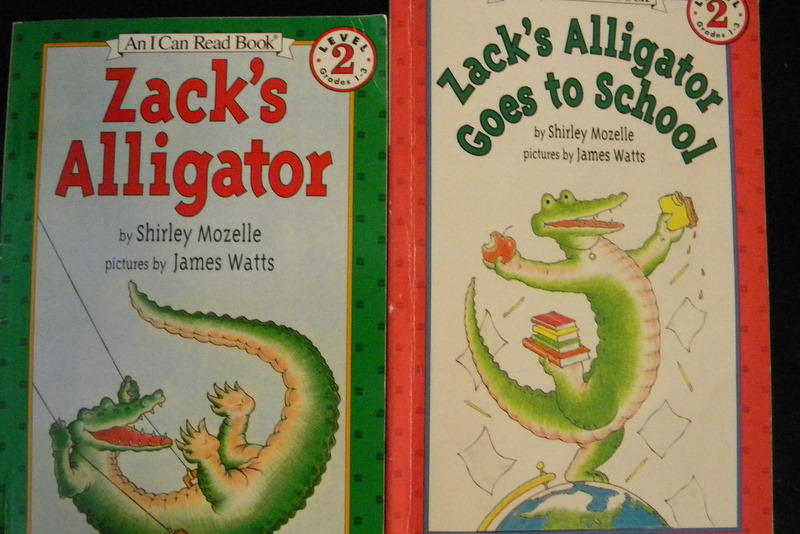 especially as the gator gets smaller and smaller towards the end. because it is almost as funny as the first one. I wonder if I could talk my husband into reading Vlogging a few of our favorite stories for you all… beg in my comments and He might!! You won’t regret it!! I am usually found rolling on the floor when he reading them a book! I mean I should really LET the MAN read!! So easily distracted I am … how does this apply you ask? 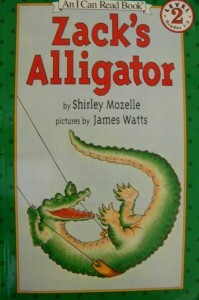 Sammy is an experienced Gator catcher! They are all in their Gator cages again! 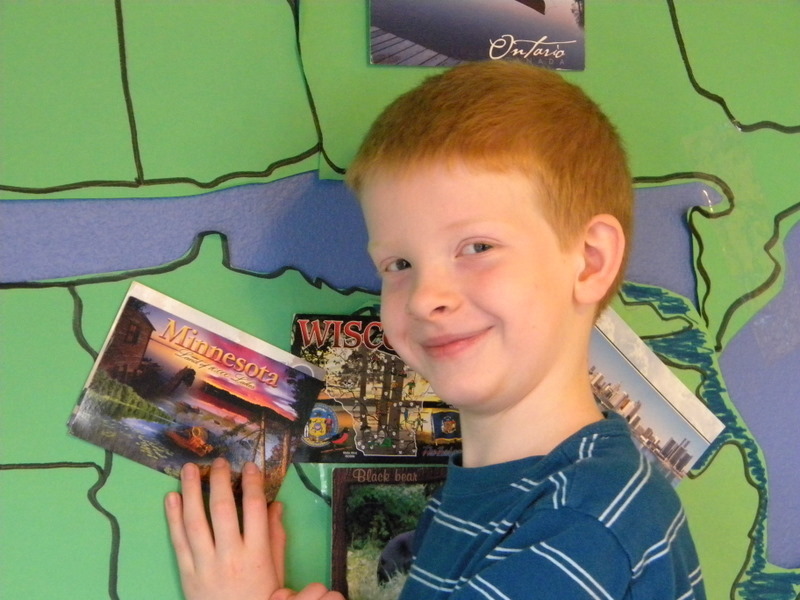 and the post card made it to the map! Which is nearly Half Full Now!! We have a few alligator fans in the house! They loved it! I loved the Wonder Twins back then! I probably liked them b/c they had a monkey. and you all know I like monkeys, right? monkeys are funny and I love to laugh! 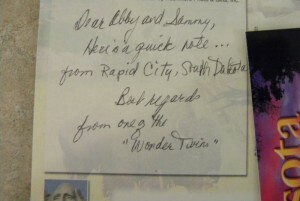 on the back of that South Dakota post card! from a REAL life Rodeo Cowboy! I wonder what he looked like?? I imagine he was Handsome! b/c the Wonder Twins had him sign it!! Honest! I imagine that only Handsome Rodeo Cowboys sign post cards for the Wonder Twins!! we had a wild and crazy week ! and you wouldn’t believe the conversations we have had about “what is a cowboy anyway?” and “how is a Rodeo cowboy different than a regular cowboy?” I think I need to go on a field road trip to investigate the difference… any one want to come with me on my cowboy road trip?? Thanks for the Post Cards!! I think I know who you are! 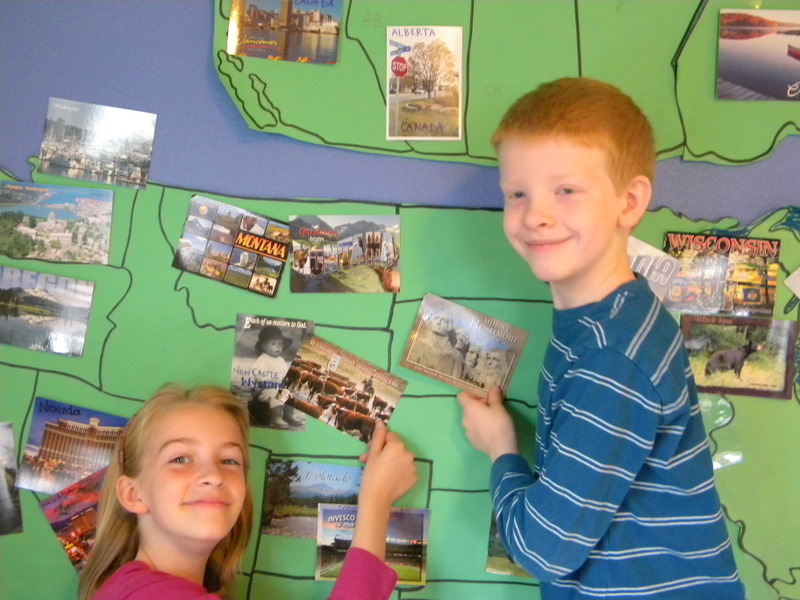 We Would LOVE your help filling our Map of Post Cards!! WA, OR, CA, KY, WY, MN, CO, NV, TX, FL, SC, WI, MI, MT, and KS. We would love your help filling our map! Please leave a comment and I will send you our address! I will see you on the other side!! Oh goodness…Love the Wonder Twins! I’ll never tell! 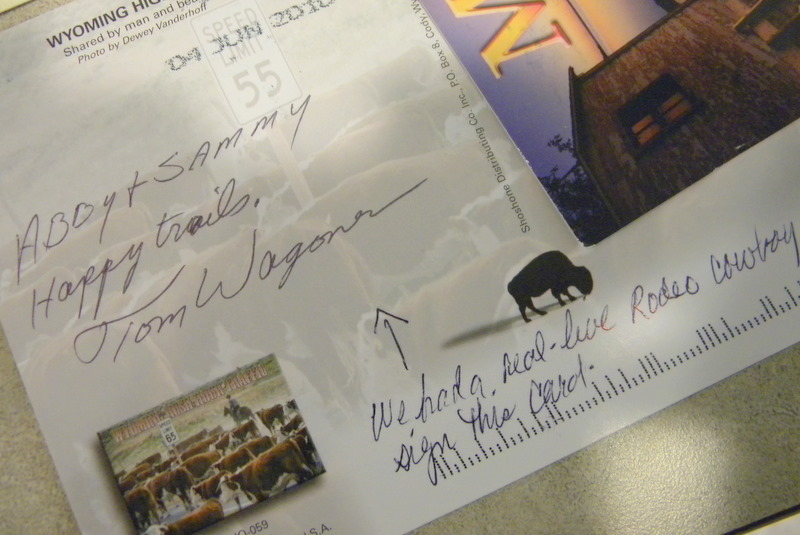 : ) Tom Wagoner was quite the gentleman. He’s a Rodeo Pick Up Man. That’s the cowboy who swoops in and scoops the riders off of their buckin’ broncos after they’ve hit their time in the competition. Woo hoo. you are just going to have to get a bigger map. They are getting so many and those alligator things are so cute. I have read that book. So cute. Thanks for stopping by. 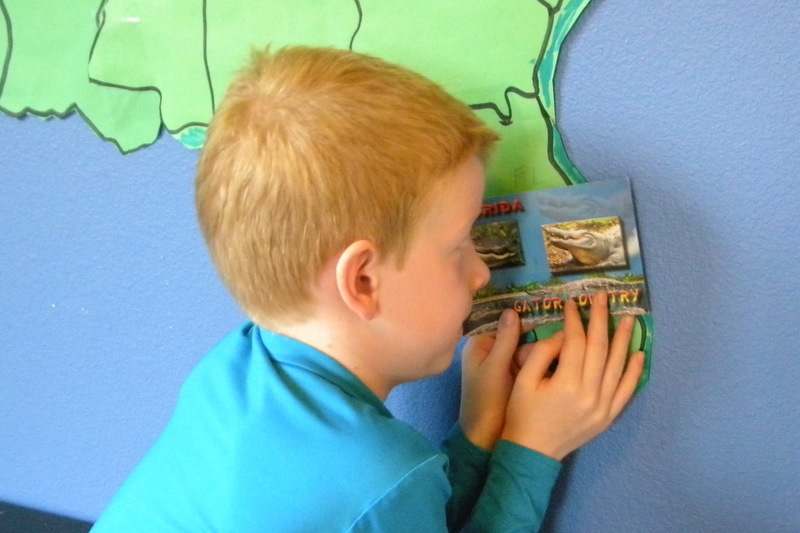 I love your map and post card activity. 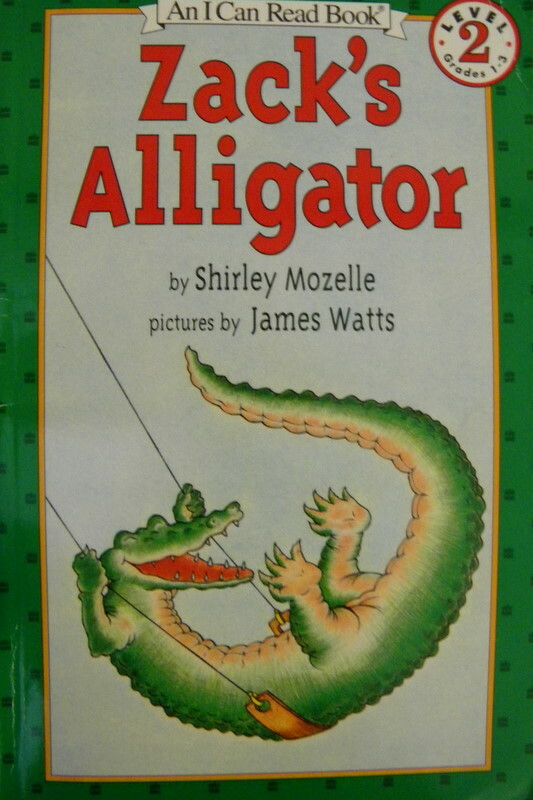 The gator book looks really fun. 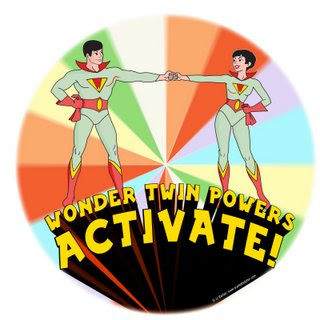 Oh, Wonder Twins…activate! I SO remember them! And, Jenn’s Hubby…PLEASE vlog us a story! There’s noboy in this house who will read to me! I need to rely on my computer! Won’t you PUH-LEAZE??????? I wish you didn’t have a post card from Michigan because I woulfd love to send one to you! I really hope you can talk your hubby into a vlog! Maybe it should hit you tube! i can sure send one from the beautiful and cold state of utah if you send me your address! cute project, cute kids!